A Saratov Airlines Antonov AN-148-100, registration RA-61704 performing flight 6W-703 from Moscow Domodedovo to Orsk (Russia) with 65 passengers and 6 crew, was climbing out of Moscow’s runway 14R when the aircraft reached a maximum altitude of 6000 feet then descended again and disappeared from radar at about 14:28L (11:28Z). The aircraft was subsequently found crashed in an open field about 18nm southeast of the aerodrome near the village Stepanovskoye in Dergayevo in the Ramensky District, no survivors were found, about 50 bodies were recovered. The wreckage was distributed over a distance of about 1000m, no fire occurred. 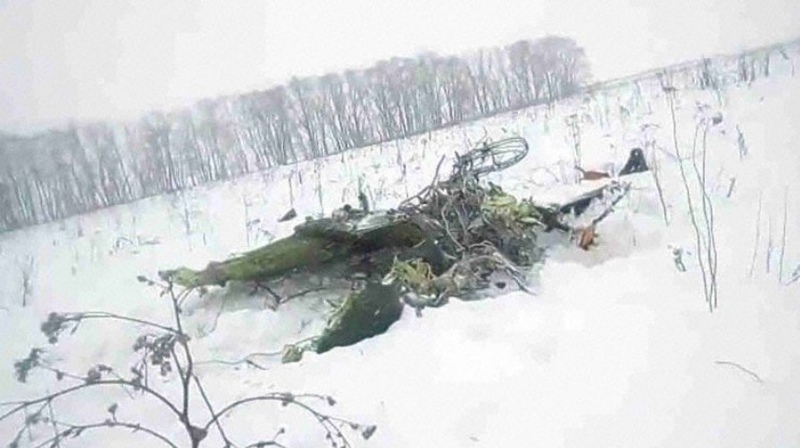 Russian News Agencies Lenta and Interfax reports the remains of a second aircraft, a helicopter, were found near the crash site, the two aircraft collided in midair. Interfax later dropped the reports of a helicopter being involved, Lenta still reports the second aircraft. Russia’s Ministry of Emergency Situations confirmed flight 6W-703 crashed and was found near the village of Stepanovskoye in Ramensky district. Rescue forces including helicopters have been dispatched on site. The Ministry reported no other aircraft was found near the crash site. In the evening the Ministry reported one of the black boxes has been found and was recovered. Russia’s Post Office reported there was a bag of about 20kg mail on board of the AN-148. The bag may have triggered the agency reports of a midair collision with a post office helicopter, however Russia’s Post Office does not operate helicopters in the Moscow region. 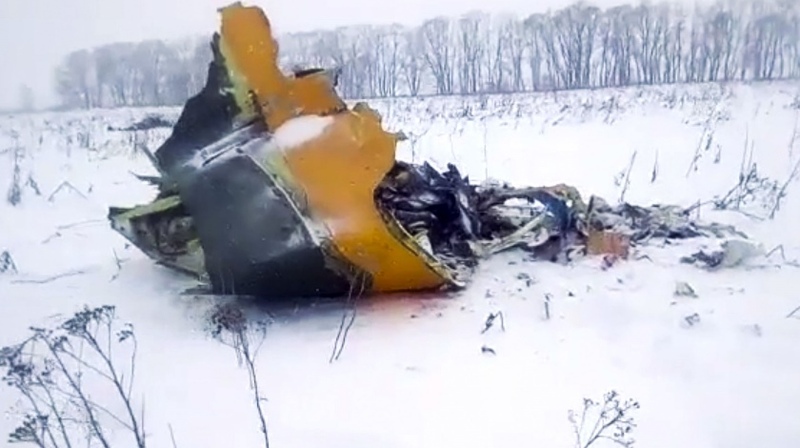 Russia’s Interregional Transport Prosecution Office opened a criminal investigation into the crash verifying compliance with legislation, in particular technical maintenance and dispatch of the aircraft. The Interstate Aviation Committee (MAK) reported the Saratov Airlines AN-148 registration RA-61074 from Moscow Domodedovo to Orsk departed Domodedovo Airport at 14:21L. Communication with the aircraft was lost at 14:28L, the radar target disappeared about the same time. The aircraft was found in the village Argunovo in Ramensky district. An accident investigation commission has been dispatched on site, an investigation was opened. According to ATC recordings communication with the aircraft was normal until 11:28Z, when the crew no longer responded to calls from ATC and other stations.